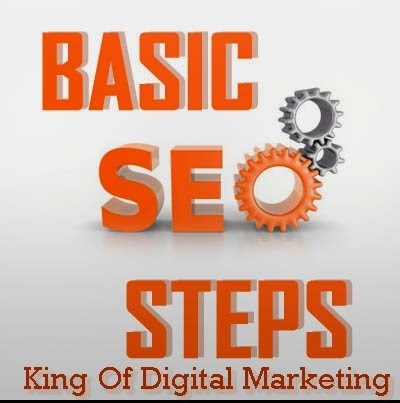 King of Digital Marketing understands the problem of small business owner, who are running business online but don’t know about Search Engine Optimization. So let’s a glance over initial SEO. Every entrepreneur running either big or small business should have a basic knowledge of search engine optimization. In fact, you should almost be exhausted by the term “SEO” at this point, as you’ve been undoubtedly told time and time again just how important it is. But unlike many trending industry buzzwords, SEO is here to stay. Why? In our web-facing world, the (already) dominant search engines are becoming the cornerstone of the internet. Standard procedure for individuals looking for information is to search first. Understanding the basic tenets of SEO will keep your business relevant and searchable, which will amount to added business and web traffic. There will be hoards of digital marketers that will tell you your organization need a professional (and oftentimes expensive) SEO strategy, but understanding a few basics will keep your business in the conversation. For starters, don’t be intimidated by ‘SEO’ – it sounds much more complicated than it actually is! The acronym stands for ‘search engine optimization’ and it’s the process of aligning your website to the standards and recommendations of search engines in order to get increased traffic and visibility from search engine results. Web pages, videos, listings, etc. are shown based on what the search engine considers most relevant to users. “Relevancy” is determined by search engine algorithms. The exact algorithms are not made publicly available, but in attempt to create a stronger, safer, more legitimate user experience, search engines are pretty open about what will help or hurt rankings. The lesser known but equally important term “SERP” or Search Engine Results Page describes the actual listing or ranking order that an end user is presented with after a search. This is closely connected with SEO because if you’re practicing good SEO practices, your SERP score should also be considerably strong. Small businesses should be especially focused on SERP and aim to be as high as possible on various search engine results pages. •What role do ‘keywords’ play in SEO? While keywords remain a prominent component of SEO, their importance is waning. It used to be you could simply slap up a page and jam it with the terms users commonly search for, but search engines are growing smarter. Keywords and phrases are still important, but they must be surrounded by impactful content and placed intelligently with end usability in mind. •How do a social media impact SEO? Your business should cultivate a strong social media presence and create a profile on all channels that are appropriate for your industry. Promoting web content on Twitter, Facebook, Vine or other social media avenues will help your business rise through the search engine ranks. •What is the importance of quality content? At this point, you should know that producing high-quality content is the essence of SEO. Create pages with end users in mind and avoid tricks intended to fool search engine algorithms (keyword jamming). Focus on creating content that is valuable and engaging, and differentiate yourself from your competitors. Search standards are ever evolving. While this can cause headaches, it’s ultimately to the benefit of us all. Continue to stay up to date with the latest search engine principles and their suggestions on how to maintain a strong organic search presence. Great blog. Digital Ready Marketing provides SEO educational materials as well as SEO consulting to help websites rank higher. Digital Ready Marketing provides SEO educational materials as well as SEO consulting to help websites rank higher. Nice seo tips for small business.